Sentinels of the Multiverse announces the final expansion coming to iOS, Android and Steam, on March 19th, 2019 – OblivAeon! A new game mode, 25 missions to complete and more await in OblivAeon! 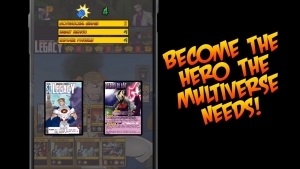 Sentinels of the Multiverse for your Smartphone! Sentinels of the Multiverse is awesome! And now you can take that awesomeness on the road with you! How great is that? Pretty damn great I think.